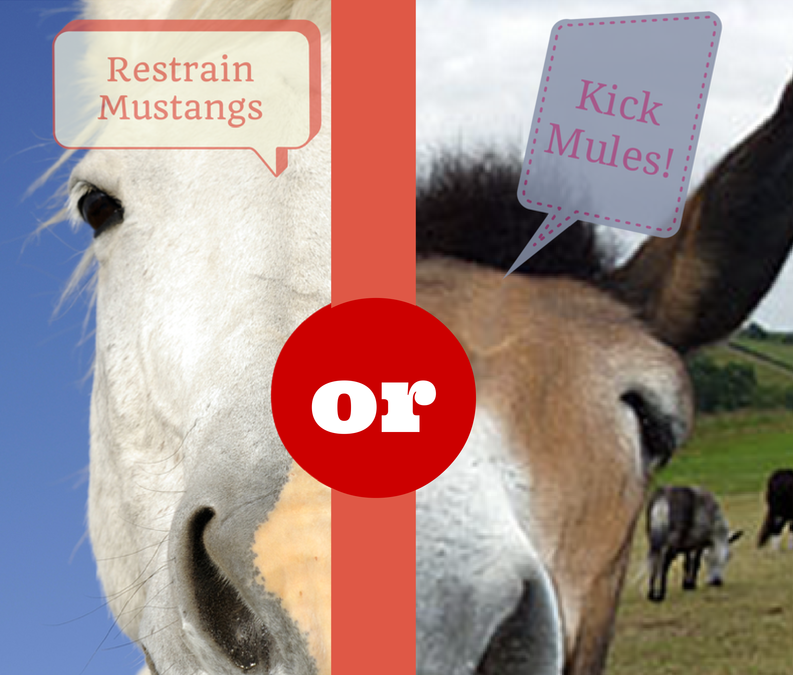 Is It Better to Restrain Mustangs than to Kick Mules? By “mustangs,” I mean the people who live and work on the edge of their authority and occasionally beyond. “Mules” are those who reluctantly and stubbornly plod the same path and require constant pushing. It is true that mustangs do occasionally go too far — some of them will often go too far. But which would you rather work with? Would you prefer working with people who possess initiative that might occasionally have to be restrained or people you must constantly prod and push? Which are you, a mustang or a mule? Rudy Martinez, a former hourly restaurant employee, became the Operator (franchisee) of a very poorly performing Chick-fil-A restaurant in a shopping mall in San Antonio, Texas. He was sure that he would make a winner out of a situation that had been an under-performer for ten years. Three months after he took control, I went to visit him. As his consultant from our field staff parked the car at the mall, he said to me, “Jimmy, I need to tell you something you may not like. Rudy is selling some unauthorized items on his menu.” This was a serious concern to the consultant because no Chick-fil-A Operator is to change the menu without approval. He did make a winner of that store, and he earned a new Ford automobile by reaching his Symbol of Success sales goal—Chick-fil-A’s highest sales performance recognition for Operators. Rudy earned it two years in a row. As you can guess, Rudy sold a lot more than breakfast tacos to achieve that level of sales. Rudy Martinez exemplifies my concept of a mustang. He is willing to live out on the edge of his authority and even occasionally exceed it to reach his goals. He is not afraid to take risks. He is not easily discouraged. He will let nothing hold him back from finding the path to his goal. By the way, in case you haven’t noticed, breakfast burritos are now on the menu of the Chick-fil-A restaurant near you. Ask yourself this question: How many positive changes that occur in organizations are brought about by mustangs? The answer: All of them! Do you see why I would rather restrain mustangs than kick mules? It Is Better to Restrain Mustangs than Kick Mules.